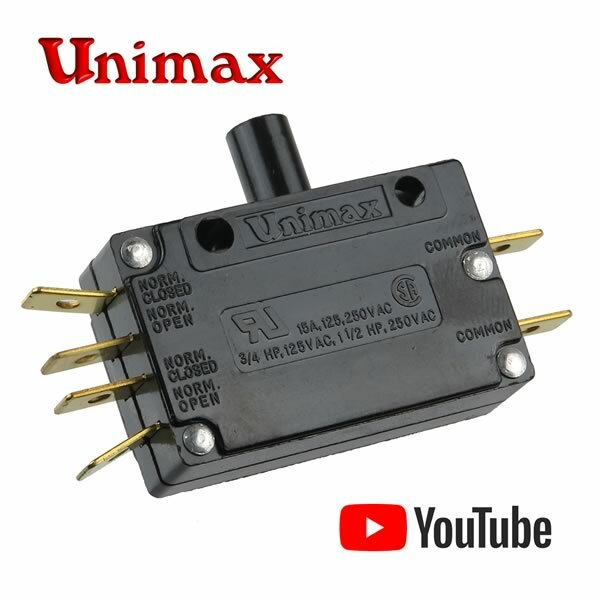 Unimax snap action switch operates in a sequential manner. Has SPDT top contacts that operate first. Contacts are rated 15Amp @ 125/250VAC. Size 1.12" x 0.625" x 1.81" (excluding terminals).